“What if?” is a question that my mom tortured herself with since my dad passed away in 2001. The passage of time never diminished her need to know what would have happened if we had done something different, something more extreme in the hopes of an unlikely miracle. Today marks the final day in another “hell week” for my family. Today I find myself asking “what if?” on the first anniversary of my mom’s untimely passing. What if she had taken the test that she feared taking earlier? Would she still have had the complications that she had from her surgery, which led to more surgery, which led to her ultimately passing away and leaving us all in shock once again? What if she was able to reach me earlier on the day of her test? Would I have been able to travel to the hospital quickly enough to give her a hug and kiss and tell her that I loved her before her surgery? What if the doctor’s appointment that sent her rushing for emergency tests was after her birthday weekend, instead of the Friday before? What if we didn’t “celebrate” her birthday praying for her to wake up at her bedside? What if we had the chance to have one last birthday celebration by going out to dinner together (which was one of her favorite things in life)? What if she got to read the heartfelt, handmade birthday cards that my kids made for her instead of having me read them to her as I said my last goodbye because I knew that the end was near? What if my daughter could have given her the card that she made for her for this birthday, even though she knew that there was no place to send it? What if my son could have called my mom to share his excitement about the home run that he hit on her birthday with the bat that she gave him for his birthday? What if, instead of having two “hell weeks” each year from now on, our family didn’t have any? What if my dad got to meet the amazing kids that my mom used to look to the sky and tell him about? What if my mom got to see the kids that she adored grow up, graduate high school and college, get married and have kids of their own? Some of my fondest childhood memories occurred between the chalk lines of the baseball diamond. For many years I have shared these memories with my son. Deep down, I always hoped that he would feel the same way about the game that defined my childhood. To this day, no matter what the situation, I still seem to find solace on the diamond. 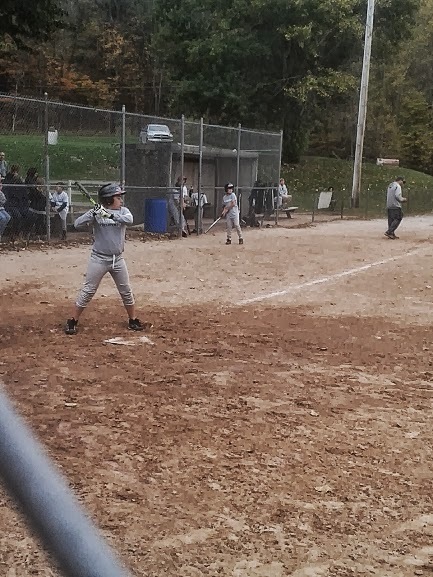 For the first time ever, my son played fall baseball this year. It was the first football season that he has missed since he was five years old (see “Saying Goodbye to Pee Wee Football”). The transition out of football had its challenging moments, but ultimately, he embraced the change and made the best of things. The last game of his season was supposed to be played on the day that my mom passed away (see “Dear Mom…”). Needless to say, my son never made it to the game as we spent that day shopping for clothes for my mom’s funeral. It was a heartbreaking moment as we drove past the field on the way home from the mall, and we saw all of his teammates warming up for the game. Thankfully, the league added another game as a bonus, so my son got one more chance to take the field on the day that he returned to school. My expectations for the last game were virtually non-existent. Under the circumstances, I just wanted him to get through the game the best that he could. After sharing what my son had been through with the league director, he was slotted as the leadoff hitter for the home team. He stepped up to the plate in the first inning with the baseball bat that my mom gave for his last birthday, wearing the batting helmet and batting gloves that were also part of the gift. Always fearful of what could happen on the football field, my mom was overjoyed to buy him everything that he needed for baseball (her favorite sport). He swung hard, but missed the first pitch. The second pitch was a ball. At that moment, I just hoped that he would be able to focus enough to put the ball into play. The last thing that he needed in his fragile state of mind was a strikeout. He drove the next pitch into the gap between the left and center fielders. From the bleachers, I yelled to go for two. When I saw how far out the ball was in the outfield, I yelled again for him to go all the way. The look on his face as he touched home plate for his first homerun ever is something that I will never forget. I ran to the dugout to give him a hug, congratulate him and tell him that he made Mimi very proud. He followed up his homerun with two hard-hit singles, the best day of hitting that he has experienced thus far. For those few hours, my mind was focused on how proud I was of my son, and it temporarily eased the pain and sense of loss that I was feeling about my mom. Over the weekend, the two of us spent a few hours together on the baseball field. He took his usual batting practice, and then pitched to me from behind a protective screen. As much as he enjoyed hitting, he seemed to take more pleasure in watching me drive the ball deep into the outfield. It was fun to relive my glory days, but more importantly, my son and I got a much needed respite from the overwhelming sadness that we’ve been feeling. He has been trying to put on a brave face since my mom’s passing, but this morning, he finally confided in me that he was hurting badly. He can’t understand why his life has changed so drastically in such a short amount of time, how we went from a planned birthday celebration for my mom to a funeral in a matter of days. He so badly wants to tell Mimi about the homerun that he finally hit. I do too. We can only hope that she was watching with my dad. The cold winter weather will arrive sooner than we would like, but until then, I plan on spending as much time as possible playing baseball with my son, and finding solace on the diamond. 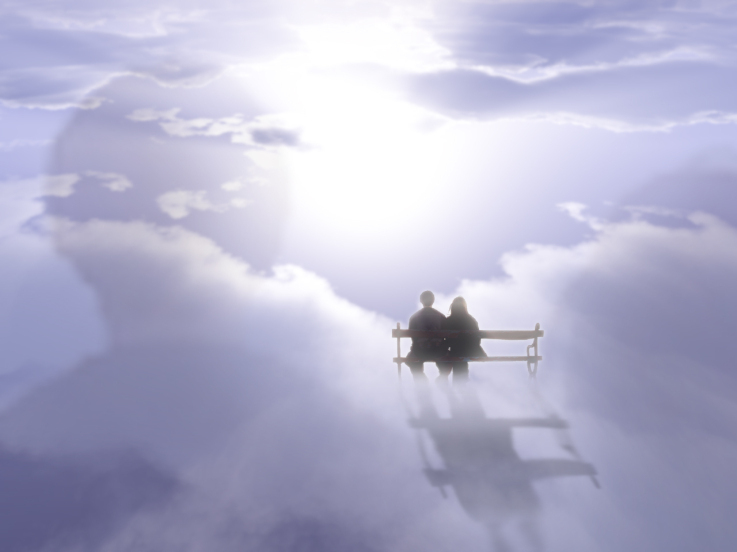 When we spoke just before you were going for the test that you feared, I never imagined that it would be the last conversation that we would ever have on Earth. The shock and pain of your loss has reached a new high today, now that the mourning period with the family is over and the kids have returned to school. There are no more distractions, just the harsh reality that this isn’t some bad dream that will end when I wake up. During these painful days of the past week or so, I cannot tell you how many times I wanted to pick up the phone to call you for support. The ride back upstate after you passed away was pure torture. As devastated as I was, I couldn’t imagine the moment that I would finally have to tell the kids that their beloved Mimi was gone. I will never forget the moment that I held them tightly with tears streaming down all of our faces, as I told them how much joy they brought to your life, and how you loved them with all of your heart. Z took it very hard, and Little One did too, although she couldn’t process it in the same way. After I broke the news to them, we spent the day shopping for clothes for the funeral. Shopping for clothes was something that we always did with you, so you can imagine how difficult this was for me. Towards the end of the day, after a frustrating time trying to find what we were looking for, a wave of emotion hit me, and I began to cry in the store. Little One asked what was wrong, and I told her that I was sad. To which she replied…“are you sad because we’re having trouble finding what we’re looking for?” I told her that I was sad about you, and then asked…“have you ever seen me cry in a store when we can’t find something?” Normally, I would call you right away to share a conversation like that, and we would laugh at the things that come out of Little One’s mouth. I can’t tell you how much I’ll miss those moments with you. On the way to the funeral, Little One was asking a lot of questions as she tried to wrap her mind around what was going on. Z kept trying to change the subject as a way of protecting me. He did the same as the questions started again at the cemetery. You always said what a special boy he was, and he proved it once again in my darkest hour. If you were watching, I know that you would have been so proud of him for his consideration. He even saved me a rainbow cookie when I went for a walk during Shiva because he knew what they represented to me. Granted, he took a bite out of it first, but he thought of me before finishing it. He truly is as special as you have always said that he is, and I know how lucky I am to have a son like him. During the funeral, I brought both kids up with me to deliver my eulogy to you. I honestly don’t think that I could have finished it without them by my side. So many people came to the service that we had to move it to the large chapel, which was nearly filled to capacity. The people from your office were truly devastated by your passing. In case you didn’t know, you made a real difference in their lives, and the lives of all of those who you had business dealings with, including one of your favorites, whose annual holiday party you eagerly looked forward to each year. After the funeral and the cemetery, the entire family went out to eat in the city. Although I was quiet, and hurting badly, there was one moment that brought a smile to my face, because I know that it would have done the same for you. All four of the grandkids were playing a game of telephone, each one giggling harder than the next as they whispered into each other’s ears. Even though you couldn’t be there with us, I hope that you were watching just the same. The whole family really stepped up to help us out with all of the arrangements, and for that, I will be forever grateful. We couldn’t have gotten through this without them, and they have made sure to let us know, in no uncertain terms, that they will be there for us every step of the way. They all share in our pain and disbelief. On the last day of Shiva, Z and Little One both needed something from the store because we packed our bags in haste. With your money, I went to Target and got what they needed. It was small, but they were appreciative. When I told them that this was from Mimi, Little One looked up at the ceiling and said…“Thank you, Mimi!” She paused, and then said again…“Thank you, Mimi…wherever you are. I miss you!” I held her close, and told her how much I loved her as tears streamed down my face. There was never a good time for this to happen, but I wish that the surgery took place a few days later so that we could have had one last birthday celebration with you. The kids were so excited to see you, to give you their handmade cards and to go out to dinner together. Even though you never made a big deal out of your birthday, I wish that we got the chance to spend it celebrating, rather than praying for you to wake up in your hospital bed. I wish that I got the chance to give you a birthday card so perfect, that I didn’t even read any others, a first for me. I want to thank you again for being the mother that you were to me, and the Mimi that you were to my kids. Your time with them was far too short, but you gave them memories that will last a lifetime. Your life was never the same after we tragically lost Dad in 2001, but you carried on in the face of adversity. You taught me more lessons than you probably even realize, and I will do my best to make you proud going forward. There are no words to describe the void that I will feel for the rest of my life. And though things will never be the same for any of us, I take some solace knowing that you and Dad have been reunited in Heaven. Please watch over all of us together.